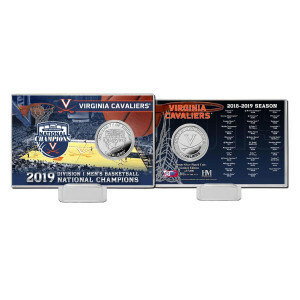 Featured in this limited edition 4”x 6” acrylic display is a card commemorating the 2019 NCAA Men’s Basketball Champions and a 39mm minted silver plated commemorative Champions coin. 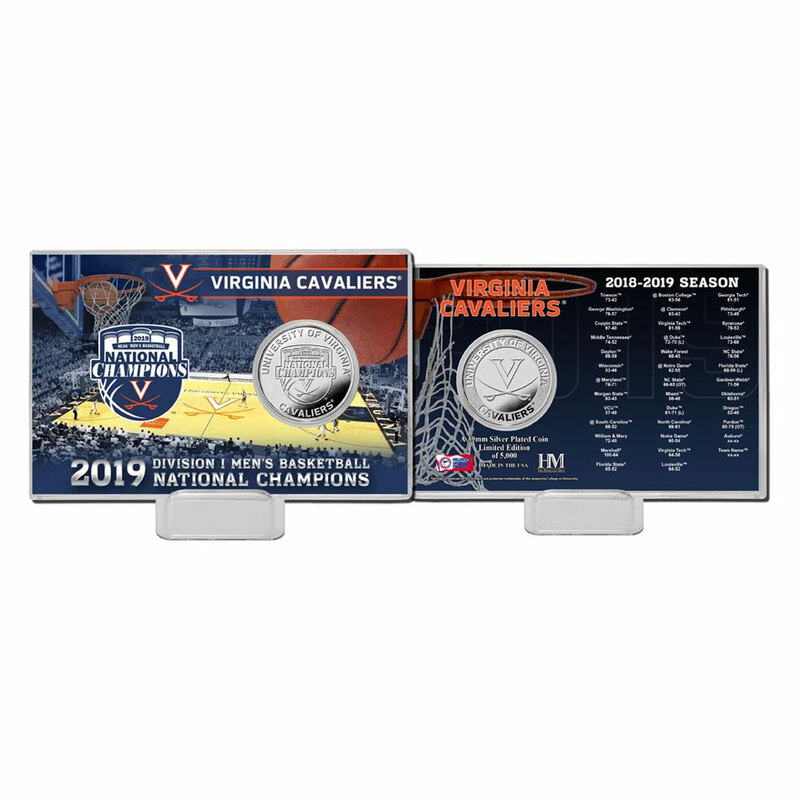 This coin card is a limited edition of only 5000 and each is delivered with a display stand. Officially licensed and proudly made in the USA by The Highland Mint.